The Varilux lenses are a variety of progressive lenses known all over the world for their high quality and the innovations made in the field. These lenses are the first ever progressive lenses, made in 1959, and since then, they are in constant development. The answer can’t be only Varilux lenses, even they first appeared on the market and came continuously with innovations that enhance the experience for progressive lenses users. Therefore, I will refrain from saying that Varilux deliver the best progressive lenses. Good lenses with innovative technologies too can be found at the above mentioned companies, and these lenses are just as successful. It is expected that if a company set high quality standards, other companies in the market to keep pace. So if you want to choose a pair of progressive lenses, I suggest you to choose from the big companies, experienced and known in the field. This will keep you happy with the high quality lenses, and in case you have problems, you will benefit of permanent assistance. Take a trip in Paris online experimenting with Varilux, trying their different progressive lenses! This means the guarantee of superior quality lenses, which allow you clear vision at any distance, a high resolution image and comfort, without the known difficulties of adjustment, faced by the usual progressive lens wearer. All types of lenses can be fitted with hardening, photochromic and anti-reflective coatings as needed. They are thinner by the factory to offer you elegant wear. I hope you liked to experiment with Varilux lenses, some top lenses that did make history in the field, followed closely by a strong competition. In the end, you are the winner, the progressive lens user because you can choose from a rich offer constantly improved. 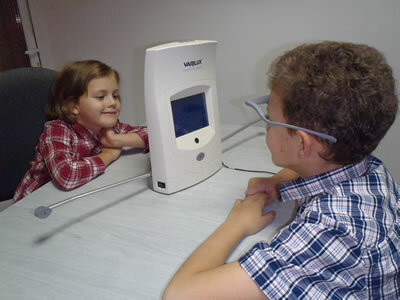 A new improved series appeared in august 2012 as a constant development: Varilux S series.